Ever found a place that offers so much that you don’t know where to start? Well, that’s The Body Holiday! Their motto, “Give us your body for a week and we will give you back your mind” is an understatement. Located in the northernmost tip of the island, this beachfront sanctuary of health and wellness sits secluded, offering views of Pigeon Point and calm Caribbean waters. At this wellness centre, it’s all about ensuring that your body, mind, and soul leaves St. Lucia feeling peaceful, rejuvenated & well taken care of. Here, it’s more than just “butler service” or pre-scheduled activities. With over 50 land & water activities available that will help put your body at ease while strengthening it to a personalized food menu to even learning Ayurvedic recipes or even a Yoga retreat, The BodyHoliday outdoes “all-inclusive”. 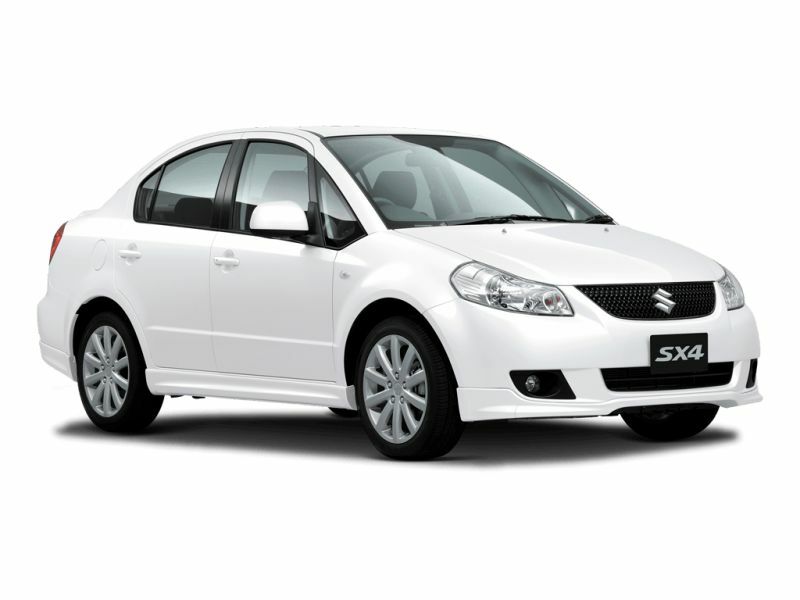 Did we mention that you can personalize your holiday there to suit your interest? That, among many other reasons, is why The Body Holiday is at the top of our list. 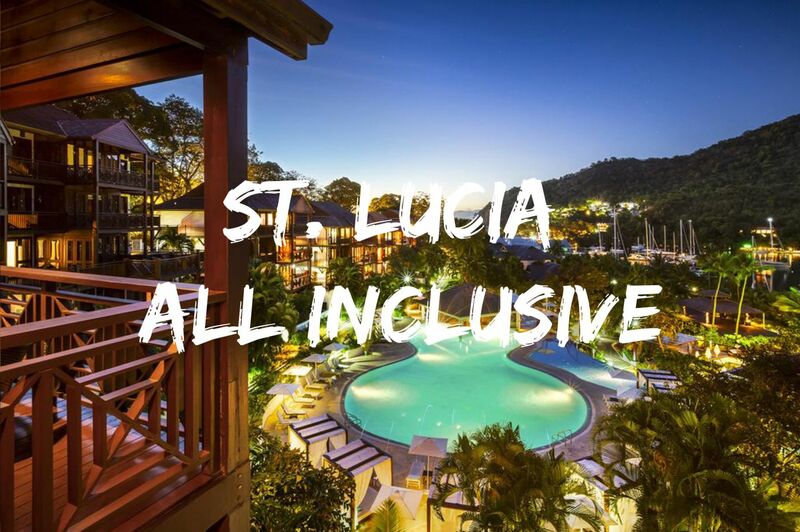 With 3 options of how you’d like to spend your vacation, it’s no wonder that Royalton St. Lucia has become the “go-to” for locals & visitors. 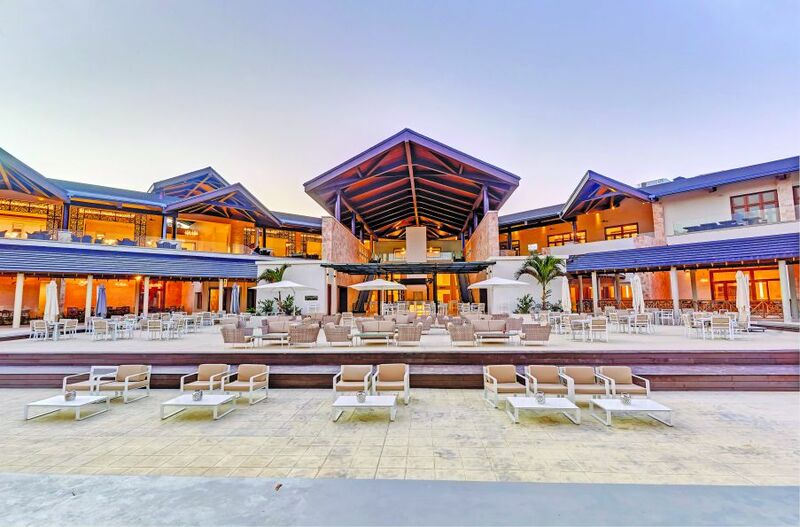 The Royalton St. Lucia was birthed out of a chain of the already established Caribbean All-Inclusive Royalton Luxury Resorts with hotels in Cuba, Dominican Republic, Jamaica & Mexico. All guests are greeted by the most glorious site of the Caribbean Sea – so much so you may forget that you have to check in first! Clean & elegant furnishings, open spaces, and warm staff invite you further in to have an experience that will have you wanting to visit their other resorts. Choose to stay at the Resort, Diamond Club – premium service & amenities or at Hideaway that caters only to adults. Make more precious memories by indulging in one of their many unique packages. We haven’t forgotten the foodies! Most impressive is their International Buffet that offers local, Italian, Spanish, Japanese, French cuisine & more! Diamond Club service for those looking for a certain “Je Ne Sais Quoi” type of experience where you’re treated like royalty and gain exclusive access to certain perks. These include welcome hors d’oeuvres & snacks awaiting you in your own special check-in lounge, premium drinks, butler service, private beach & pool area with waiters standing by. What’s unique about the locally owned and operated Bay Gardens chain is that guest have a choice of 4 locations to stay at that suit their specific need or want. 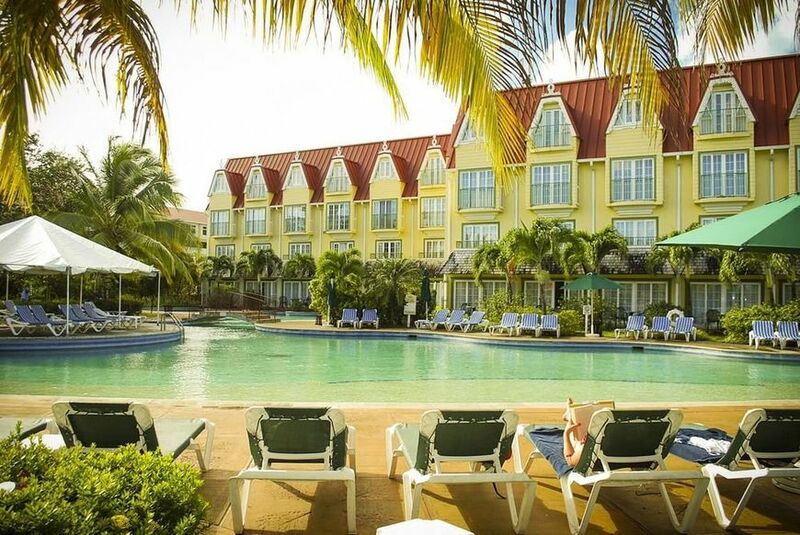 If you’re looking to lounge on a 2-mile long beach or have a go at the water park and family budget friendly, then Bay Gardens Resort. Less noise & people? More intimacy? A small gathering? Bay Gardens Hotel. A short stay or business trip? Bay Gardens Inn. Want to be closer to the Marina & other more northern attractions yet not too far from the Rodney Bay scene? That’s even easier – Bay Gardens Marina Haven. 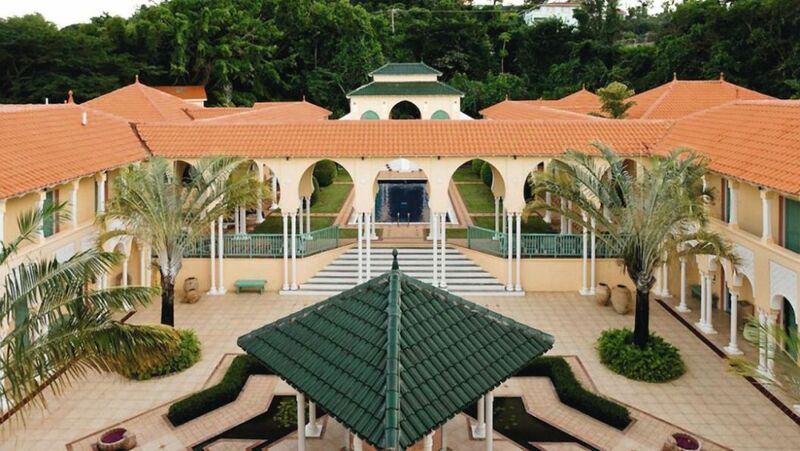 One aspect that they all have in common is their tropical ambiance coupled with Caribbean-French, Georgian colonial style buildings. We are in the Caribbean after all. There’s a reason why they’ve won multiple awards from TripAdvisor and other notable travel companies, including its latest, the Americas Award 2017, Luxury Beach Resort of the Year. What many admire about Coco Palm is its witty mixture of feng shui elements and its retainment of St. Lucia’s French Creole culture through its architecture and design. Though situated in the touristic center of Rodney Bay, once within the hotels’ walls, it’s a completely different world. With over 10 years of awards, including Trip Advisor’s Traveler’s Choice & Best Value for Money, this boutique hotel caters to those who want an extremely personal touch and interaction with guests and employees. PS. The food at its Ti Banane Restaurant is delectable! If you’re one who fancies seclusion and staff paying extreme attention to detail in ensuring that your every need is catered to, then Calabash Cove will exceed your expectation. This hideaway showcases a unique side of the Caribbean Sea & St. Lucia. Here it’s all about creating a romantic and old-fashioned environment where couples can have that intimate time together without all the noise! At Calabash Cove it’s never forced which is why they’ve won the Trip Advisor Certificate of Excellence from 2012-2018. Need we say more? Not everyone is looking for a sophisticated or over the top hotel. 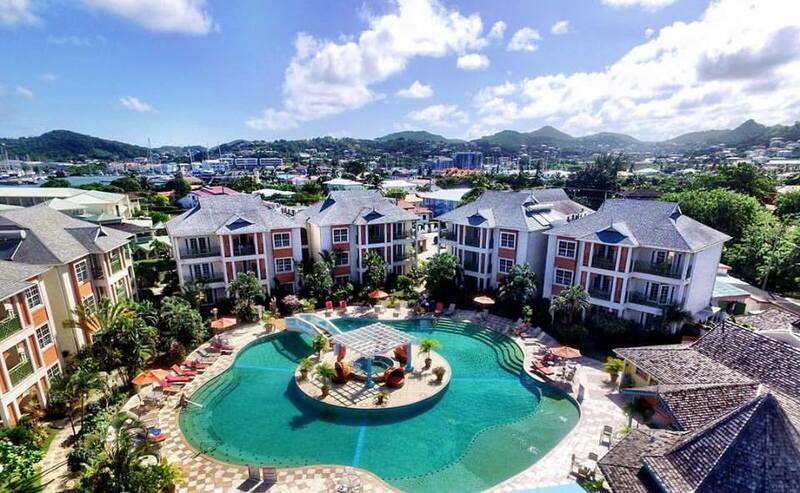 Some of us simply want to have casual fun in a tropical paradise – and that’s exactly what St. James’s envisioned! For them, it’s about combining comfort with the tropics (which is why you’ll see tones of orange and aquas around the place) to create a playful and carefree environment for the whole family! I mean, having won Trip Advisors Hall of Fame – Certificate of Excellence 2018 does say something… no? Free Wedding Package – plan on getting married at St. James & staying for 7+ nights? Well book a Beachfront room or higher & receive the Classic Wedding Package for free! Here is where grandeur meets this small island. At Sandals, it’s all about complete relaxation and allowing oneself to be taken care of in every aspect. Think of…luxury, quality, five-star & high-end, from the décor to the exquisite cuisine. It’s a “once in a lifetime experience” for couples, especially honeymooners. 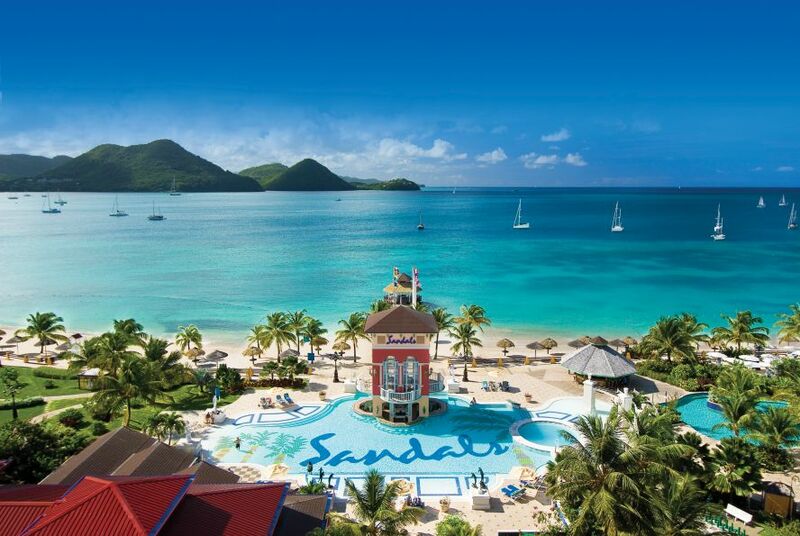 We all like options & here you have 3 Sandals Resorts! 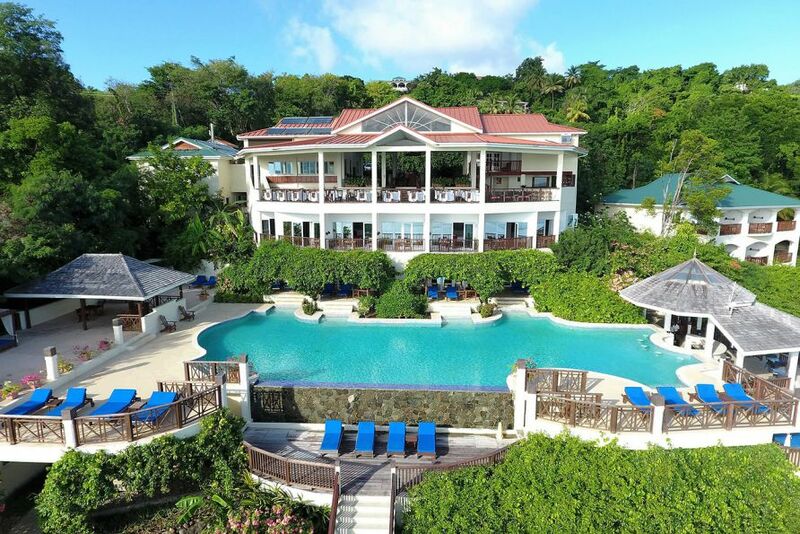 Stay at The Grande that sits between both the Caribbean & Atlantic Sea; Halcyon if you’re looking for extreme charm or Regency La Toc if you fancy golf! Whichever you decide, returning home would be the last thing on your mind. honeymoon are completely free! Even the cake! Sometimes one needs to “steal some time” with their partner at a retreat tucked away between tropical and lush vegetation. How does having a beach all to yourself sound? No no…how about going on a Rendezvous? Here’s a better one – How about spending a few nights at Rendezvous creating some memories all on your own time? No interference, demands or distractions. Need a little help stirring up the romance and holiday? Well, ever heard of a “Stolen Time” specialist? Neither had we, but at this boutique hotel, they make it their motto in ensuring that everything is suited to creating the ultimate couples’ hideaway – here, you make time. Plan your stay with their “Stolen Time” specialist with whom you can pre-plan your utopian getaway & all the Stolen Time Moments you hope to create. Luxurious, tropical & nautical are the words we’d use to describe Marigot Bay Resort. To add to its charm and Caribbean flair, its located in St. Lucia’s most beautiful bay – Marigot Bay. With its shuttered windows and doors, its where sailing, boat and yachts enthusiasts can come and enjoy the best of both worlds – land & sea. Spend a night or 2 and discover how they’ve snatched the World Luxury Hotels Award 2017 and Preferred Family Certified among a few. Come have a Marigot Bay Experience! 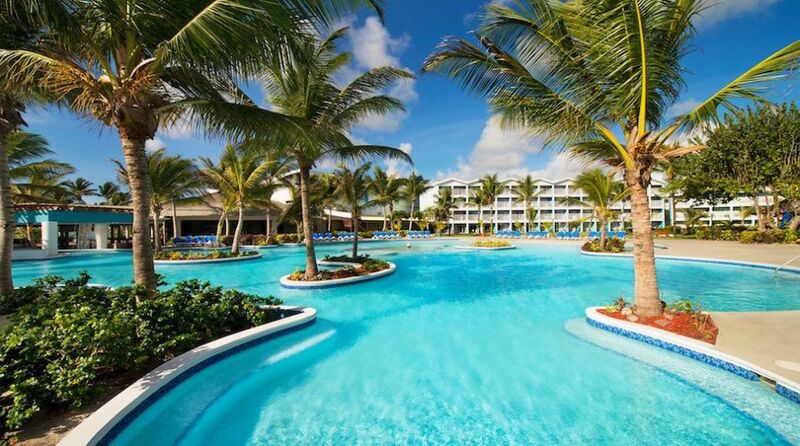 Coconut Bay Resort is one of the longest run premium all-inclusive family resorts in St. Lucia. It’s a place where the entire family can come and each have their own space to do as they like because of the vast array of amenities and activities. Children (and adults) love the waterpark, Cocoland, which happens to be the island’s largest in-resort waterpark. Coconut Bay has taken it a step further and created a section just for the adults – Harmony Wing – where they have their own pools, bar and oceanfront spa. It’s called “Coconut Bay” because of the many coconut trees found in the Vieux Fort area, especially where the hotel is situated. Be prepared to be greeted by some of the tallest coconut trees you’ll ever see as you cruise through their welcome driveway! Cocoland Kidz Klub – Here the children will receive a CocoPack that includes a backpack, water bottle, t-shirt & hat. What’s even more impressive is that they’ve created a program called SCOUTS – Seeing, Crafting, Observing, Understandings, Tasting St. Lucia – in which children will have the opportunity to indulge in activities that teach them about St. Lucia. They even have a “Playful Universe” equipped with a pirate ship, mini rock wall & zipline. You might even consider spending a day there yourself!